We are always so eager to try out new apps, however removing such apps could prove to be a hassle, no matter in old Mac OS X or the coming macOS Mojave. In this article, we will provide you with more than enough insight into deciding on best Mac app remover, and give you a list of best app uninstaller this 2018 for the coming macOS Mojave. Sometimes we download apps and we realize that we do not need them anymore. But the regular app removal on macOS does not entirely remove everything about the app – It just deletes the program but not the preferences data, caches, downloading files and history of the program. The worse is that you found there are some malicious programs that you cannot remove from your Mac. 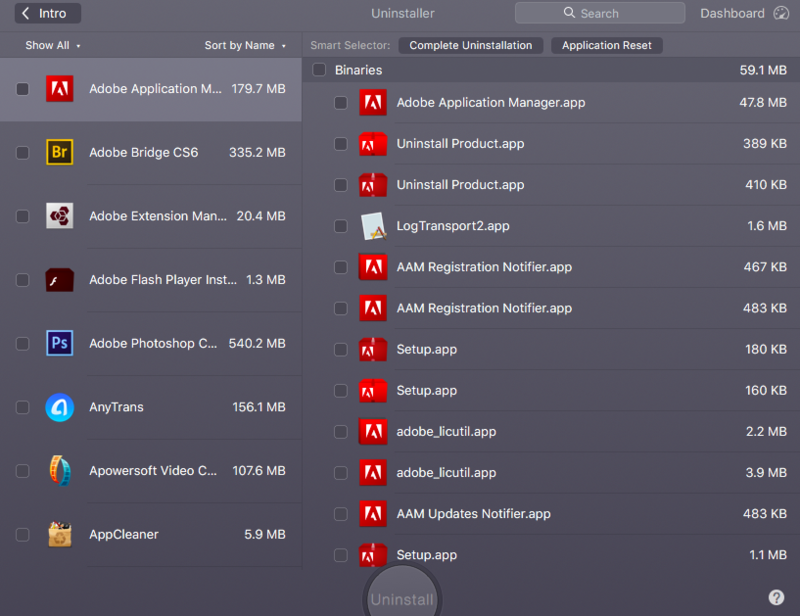 So there comes Mac app uninstaller software aiming to completely delete these applications from your Mac OS running machine. And with these apps, you can be sure that every single thing about an unwanted app will be removed from your MacBook or iMac. How to get one suitable app remover for Mac? How to get one suitable app remover for your Mac computer? It is important for you to understand the level of cleanup that the software provides. Some software can remove all the files related to the unwanted app, while others just remove some files. Also, some software cannot remove applications that run in the background. Therefore, you need to be sure of the capabilities of the software you are getting. During uninstallation, Mac uninstaller utilizes computer computing resources. This may cause your computer to slow down or hang. Hence, you need to find out the computing requirements of the software. And the best app remover should be compatible with all the popular Mac OS, including the new macOS Mojave. If one app is poorly designed, it may cost you a lot of minutes to figure out how to use it. This is why you need to consider the user interface and experience of your desired uninstaller software. You need to find out the cost of the software as some require a one-time purchase licenses. Some also require periodic subscriptions. And most of Mac app uninstallers are free. So it’s okay on this factor. Some other factors you should consider: additional features, safe and secure, customer service and money-back policy. 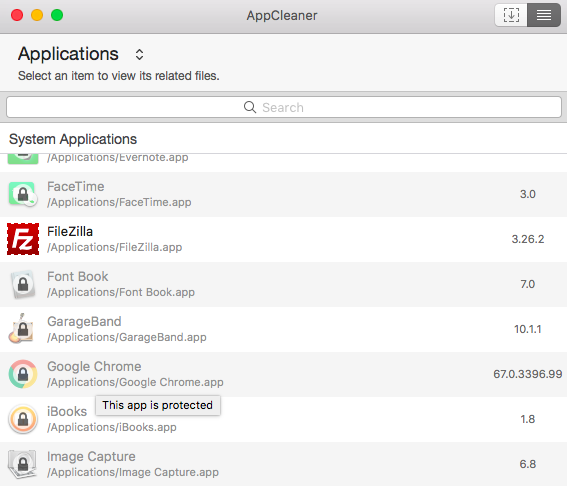 FreeMacSoft developed one popular app removers for Mac users – AppCleaner. With this app, you can easily search the apps, plugins or widgets you don’t want anymore, and complete remove them from your Mac. Besides, it allows you to just drag and drop any unwanted app for swift uninstallation. It can recover the apps that you mistakenly deleted. It supports all Macs in macOS 10.4 – macOS 10.13. We found that it may not remove some apps, like Photoshop and Evernote. And if it cannot remove some apps, it will note that the apps are protected. This software has stood out amongst other uninstaller software for macOS system because of its simplistic design and good capability of app removing. This software is also very deep with cleanups and can remove every unwanted app and its settings, widgets, plugins and so on. And just like AppCleaner, this software is also designed with the macOS drag and drop feature in mind. Nice filters to get large-sized apps and old apps. With “Undo” to get back the apps that you deleted mistakenly. Supports Mac OS X 10.6.2 or later. 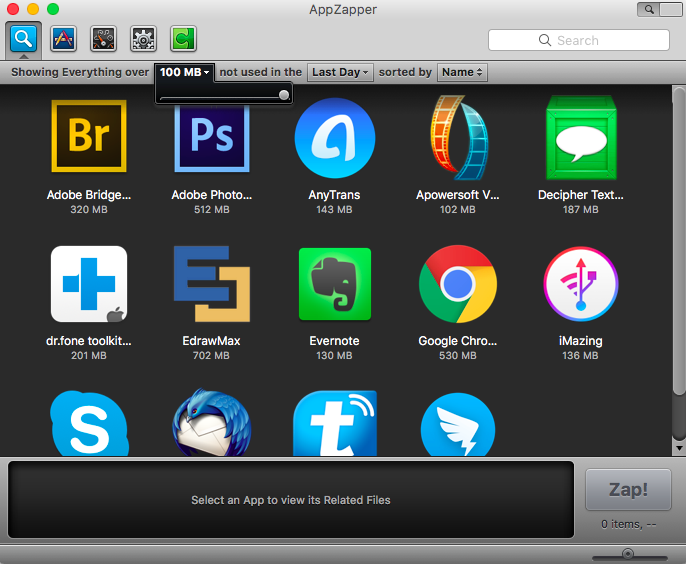 Its free version is limited with only 5 zaps (You can preform 5 app removing with AppZapper). And the price is 12.95 and above. CleanMyMac gives you a lot of features to free up space on Mac. And its Uninstaller Tool could be one of the best tool for uninstalling apps in Mac, and great is that this feature is also free. The best part about CleanMyMac is the multi-functionality. It can perform its primary function of uninstalling applications and their related files just like other app removers we listed. Besides, it also provides several other useful features to clean your Mac storage to boost the performance. This app can find duplicate file on your mac and help you get rid of them. Its user interface is also very well designed and you can figure everything out intuitively. This is another best app remover for Mac computer. AppDelete is very thorough in removing applications from your mac, and this is one of its major strengths. Where other software might overlook, this software acts. This software can help remove widgets, screensavers, preference panes, widgets, plugins, app settings, and so on. This application is also very flexible. It provides you with options as regards what to with the apps and files you want to remove. You can log such files, archive to a zip file or completely remove such apps/files. Also, deleted apps are not removed straight away, but are kept in the recycle bin in case you made a mistake deletion. Cons: This app is not a free one, and has a price of 5 – 7.99 dollars. There you have it, the top best app uninstaller for Mac this 2018. We all need one of these software on our computers in new macOS Mojave as unwanted apps are inevitable. Selecting the best one for you should not be too much of a trouble, as this article has provided you with more than enough information to make the best decision. Post Ratings: 4.6/5 stars - 9 votes in total.